Description: MARCOM's "Respiratory Protection and Safety" Employee Booklet has been created specifically to involve employees in the process of understanding respiratory hazards and to help facilities in fulfilling OSHA's Respiratory Standards (29 CFR,1910.103, 134) training requirements. The Booklet includes OSHA and NIOSH changes to their Respiratory Protection Training Requirements, such as fit testing protocols and cleaning/disinfecting procedures. One of the problems with many respiratory hazards (such as fumes or gases) is that employees can not easily "see" them. Even more visible hazards, such as dusts, are often accepted as part of a "normal" work environment. As a result, many respiratory problems only become clearly evident well after the original exposure. Yet once they occur, most respiratory problems are "chronic" and long lasting. Areas covered in the Booklet include how the respiratory system "works", common types of respiratory problems, potential effects of respiratory hazards, causes of respiratory problems, good respiratory safety practices, respiratory safety equipment, and more. The Employee Booklet features text, illustrations, and a Quiz, and is 16 pages in length. 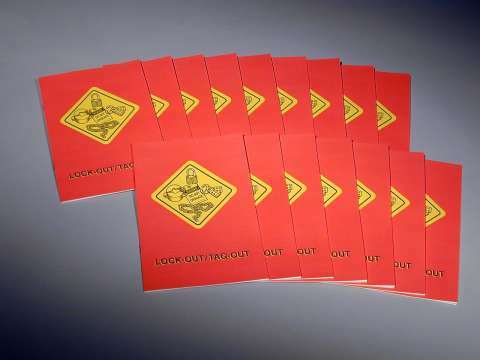 Booklets are available in packages of 15.